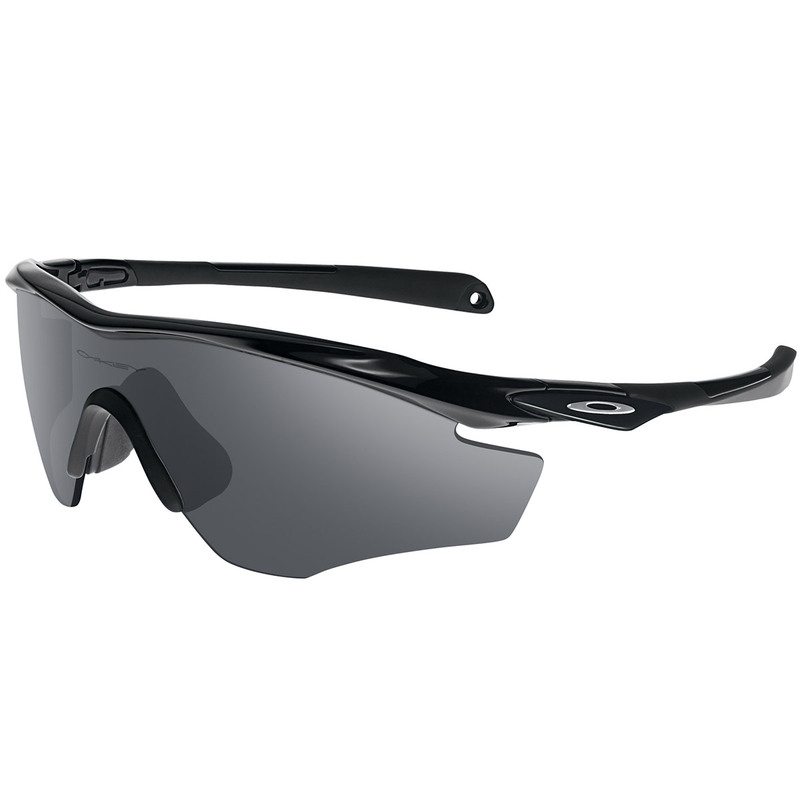 Fluid contours and sleek lines add velocity to the look of the sporty Oakley M2 Sunglasses, the latest evolution of Oakleys renowned M Frame and interchangeable lens design. 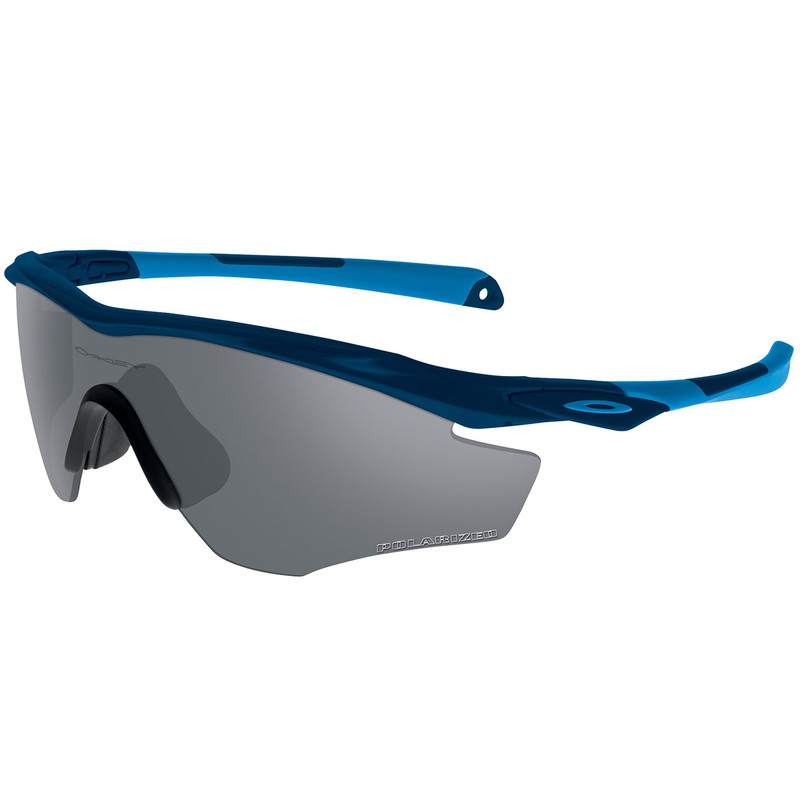 The Oakley M2 Frame steps up styling with new earstem sculpturing and wrap-around Unobtainium® earsocks, and with nosebombs made of the same sure-grip material, the frame maintains a secure Three-Point Fit. Accented with metal icons, the stress-resistant O Matter® frame is lightweight for a barely-there feel, and its smooth contouring is matched with lens curvature that opens up peripheral vision. The M2 single-lens sport shield meets all ANSI Z87.1 standards for optical performance, as well as ANSI Z87.1 standards for resistance to high-mass and high-velocity impact. Durable, comfortable and ready for competition, the M2 Frame lets you take advantage of the premium lens tints to optimise vision for the environment, and feature the clarity and protection of High Definition Optics® (HDO®). Oakley Polaric Ellipsoid™ geometry extends clarity all the way across the lens so vision is sharp and true at every angle of view. The wrap-around contours improve side protection against sun, wind and impact while durable Plutonite® lens material filters out 100% of all UV.